Professors of the humanities taught Education Week guests about methods, tools and mediums that would help them along their journey of lifelong reading. PROVO, Utah (August 24, 2015)—Education Week: when thousands of men and women from all over the country convene on BYU campus in the pursuit of an education that continues beyond degrees and diplomas. The Joseph F. Smith building was filled with such visitors being instructed by teachers and by the Spirit, specifically as they worked to “seek . . . out of the best books words of wisdom” (Doctrine & Covenants 88:118). 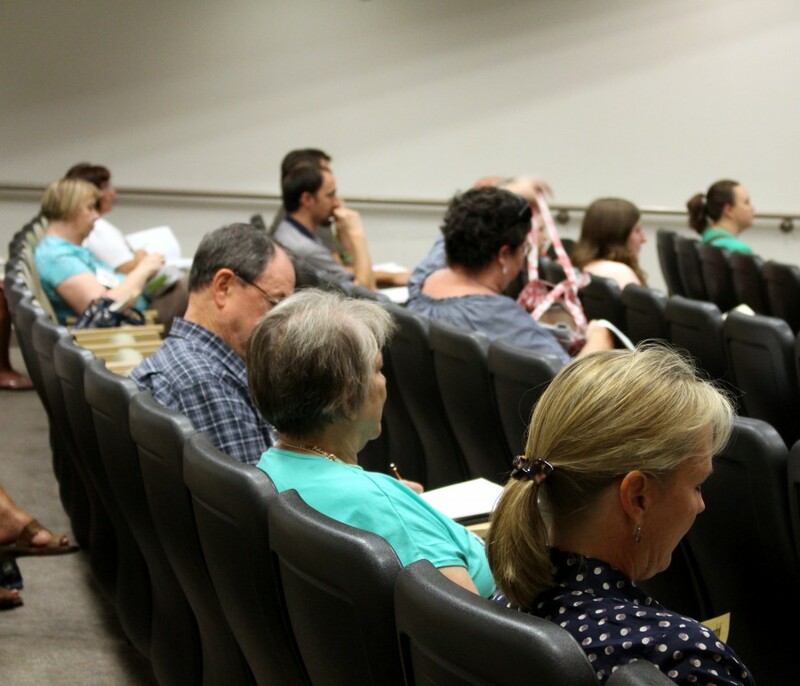 Through the Lifelong Reading series classes – taught by BYU professors Steven C. Walker, Travis T. Anderson, Gideon O. Burton and Cherice Montgomery – visitors learned how to improve their reading of fiction, nonfiction and scripture, aiding their commitment to lifelong learning. “I think we all agree we could be better readers of scripture,” Walker said as he began his remarks. With a class filled with members of the Church of Jesus Christ of Latter-day Saints, he felt that his audience was already well acquainted with the Bible and other books of scripture. In fact, Walker felt many of his students were already on par with the best of scripture scholars. That, however, was the problem. “The problem isn’t that we’re not great readers of the Bible,” he explained. “The problem is we’ve convinced ourselves that we’ve already read it.” Changing this attitude is the difference in reading the Bible simply for review and reading it for new and greater understanding. Walker then outlined ways that his students could revitalize their Bible study. In his Allegory of the Cave, Socrates concluded that “seeing the divine light of the good is the goal upon which anyone who would act rightly and rationally . . . must have her eye constantly fixed. And this ascent and heavenly vision is the goal of all true philosophy.” In his Lifelong Learning class, Anderson taught that this sentiment still holds true for philosophy today and defined philosophy as a spiritual and intellectual journey toward the light of rationality and goodness. 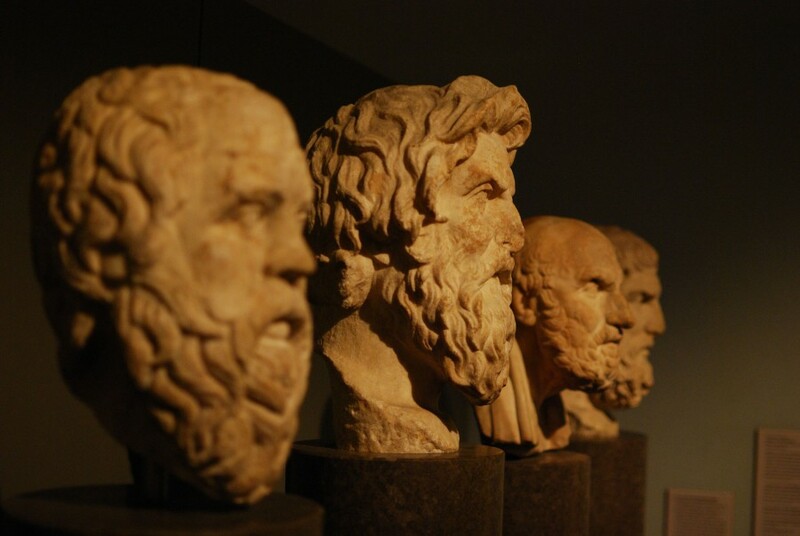 Despite philosophy’s roots in spiritual aspirations thought and its influence on early Christianity, many members of the Church still view philosophy with suspicion and dismiss it as a poor substitute for the Gospel. Anderson, however, believes that philosophy and the Gospel, like reason and faith, supplement each other. The journey of education is ongoing, and the road becomes more sophisticated as it advances, as do the tools involved. In his session, Burton explained the benefits to embracing e-books, the new way to read books on mobile devices. 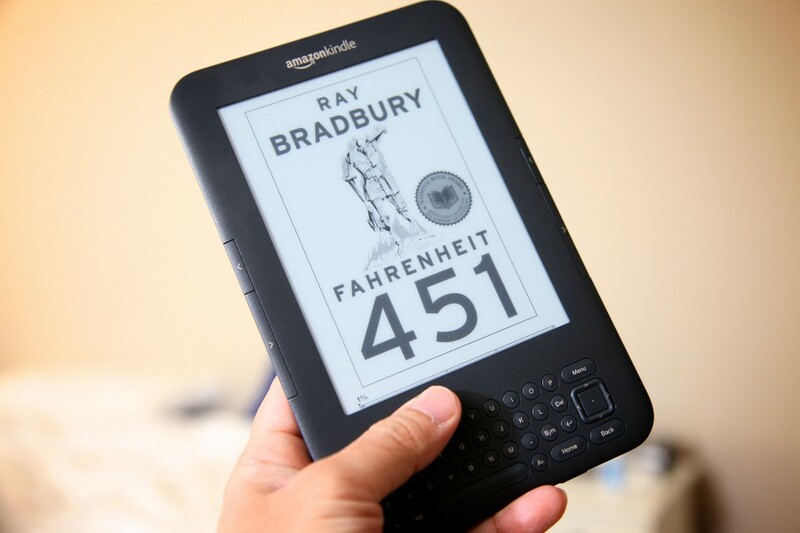 As a professor, Burton is familiar with student complaints of the weight of textbooks, a complaint that disappears entirely when heavy hardcovers are replaced with a digital book accessed through an e-reader, smartpad or other mobile device. And not just a single book, but an entire library’s worth, all accessible through a single outlet, complete with study tools and note-taking capabilities. Where once your access to a new, highly anticipated book was determined by distance to or availability at bookstores, or by library waiting lists, books are now instantly available. Combine that with a growing social media centered around books that provides book suggestions and discussion, and no one with an e-reader need ever be without something to read. When seeking wisdom out of the best books, few people think to consider children’s books as among that number. These books are often and easily dismissed, a mistake that Montgomery cautioned against in her Lifelong Reading session. 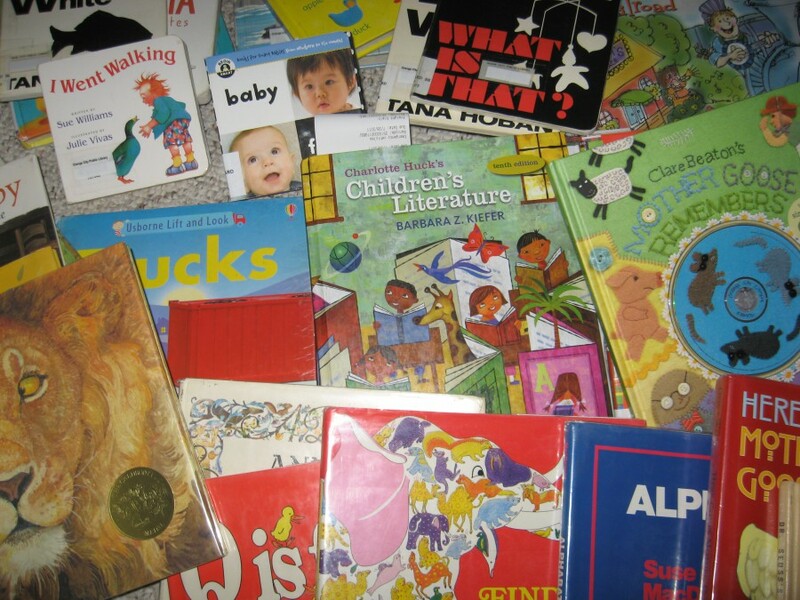 Though intended for children, the most successful children’s books are actually aimed at adults – parents and grandparents who ultimately hold purchasing power. And whether they buy a given book is dependent on how well that book and its story make a personal connection with them. “Stories are very fundamental for us as humans,” Montgomery said. “They connect us to ourselves, to our world and to each other.” Citing John Rosenberg (former dean of the College of Humanities), Montgomery described this as the human conversation. Participation in this conversation changes the way we see ourselves and the world and then changes what we ultimately believe is possible for both. According to Montgomery, children’s books engage us in the human conversation by relating meaningful messages through their stories; simple, but often profound. What appears to be just a story about a leaf falling from a tree actually teaches about accepting death. A giraffe failing to dance at a jungle party teaches about practice and determination. Though aimed at children, these and other messages are just as important for the adults reading as they are for the child being read to. Samuel covers college events for the College of Humanities. He is a senior pursuing a degree in American Studies with a minor in editing.